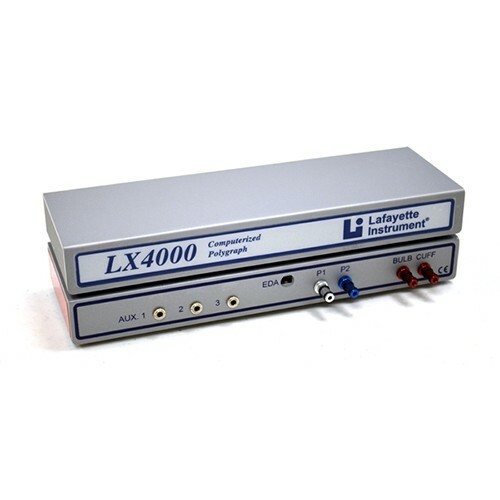 The LX4000-S is the best and most popular computerized polygraph (lie detector) in the world capable of simultaneously recording changes in several physiological variables while the subject is asked a series of questions pertaining to a specific issue under investigation. The charts generated during the polygraph examination are interpreted by a polygraph examiner. 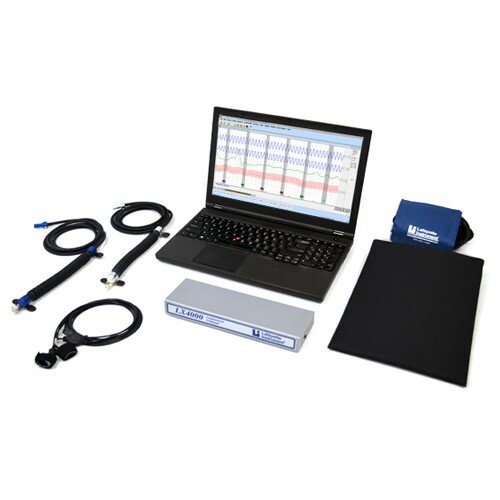 The Computerized Polygraph LX4000-S records, stores and analyzes physiological changes during a polygraph examination. 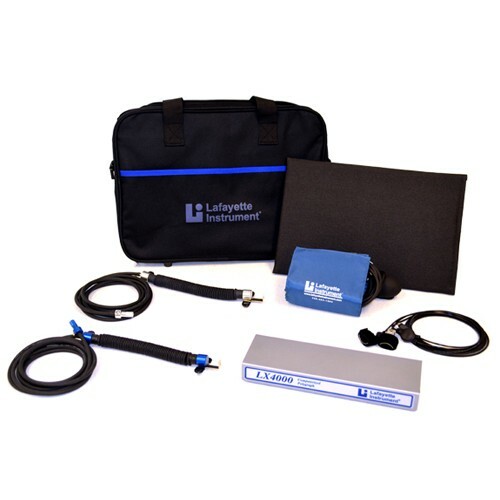 This windows-based computerized system combines conventional polygraph procedure with a sophisticated state-of-the-art computer. It offers unparalleled ease of use and proven reliability, including software that provides the examiner with capability and functionality that no one else offers. Results are derived from the following physiological parameters: Pneumo - Respiration (two channels), EDA - Electrodermal Activity (one channel), Cardio - Blood Volume/Pulse Rate (one channel), and Activity (seat pad) for detecting any movement by the subject (one channel). If necessary, additional parameters can be recorded: Plethysmograph (PPG), 76604A-5L, with an adaptor, 76604ADP, to measure finger pulse and blood volume, Activity Sensor Arm Pads, 76879A, to detect movements of shoulders, forearms, and hands, Activity Sensor Feet Pads, 76879F, to detect movements of feet, toes and legs, Activity Sensor Feet Pad, 76871FS, to detect movements of feet, toes, and legs, Masseter Headphone System, 76879HM-C, to detect and record movements in the masseter muscle, USB Fingerprint Recording Device, LXSIGPRINT, for identification purposes, and USB Webcam with Focus and Microphone, LX-WEBCAM, to record a polygraph session. Polygraph charts are recorded in much the same manner as conventional polygraph equipment with a smooth scrolling display moving from right to left. The tracings recorded are in real-time and are truly rectilinear, so polygraph charts can be easily interpreted. The system can be operated using a mouse/pointing device or the keyboard. The U.S. Department of Commerce requires an export license for a polygraph with an ultimate destination other than Australia, Japan, New Zealand or any NATO Member Countries. It is against U.S. Law to ship a polygraph to any other country without an Export License. Contact Argo-A Security for the required license application forms. This is a simple and standard procedure, and we will be happy to assist you in completing the forms. Argo-A Security will take care of the rest.